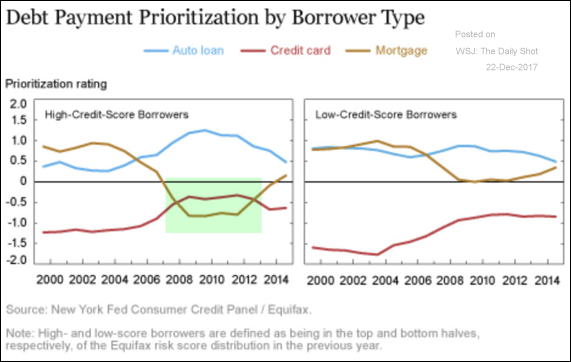 The United States: After the financial crisis, Americans with high credit scores were prioritizing credit card payments ahead of mortgage payments. Car payments remain ahead of everything else. 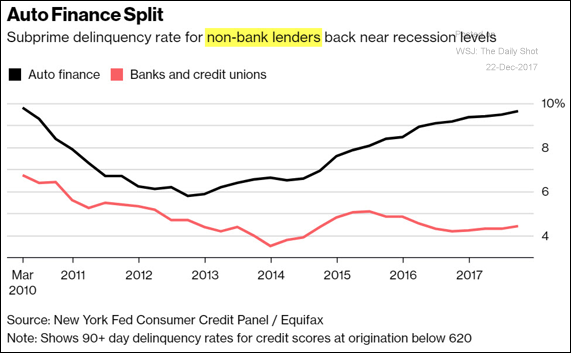 However, subprime auto debt delinquencies at non-bank lenders keep climbing. Many of these firms dipped into “deep subprime,” a decision that’s becoming costly. 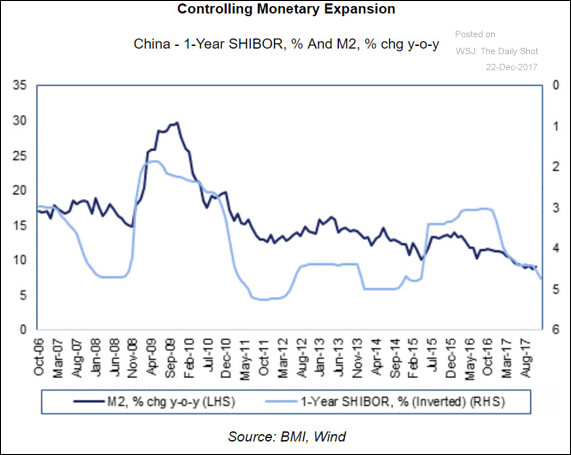 China: Elevated interest rates point to slower credit expansion (“M2″ = broad money supply). 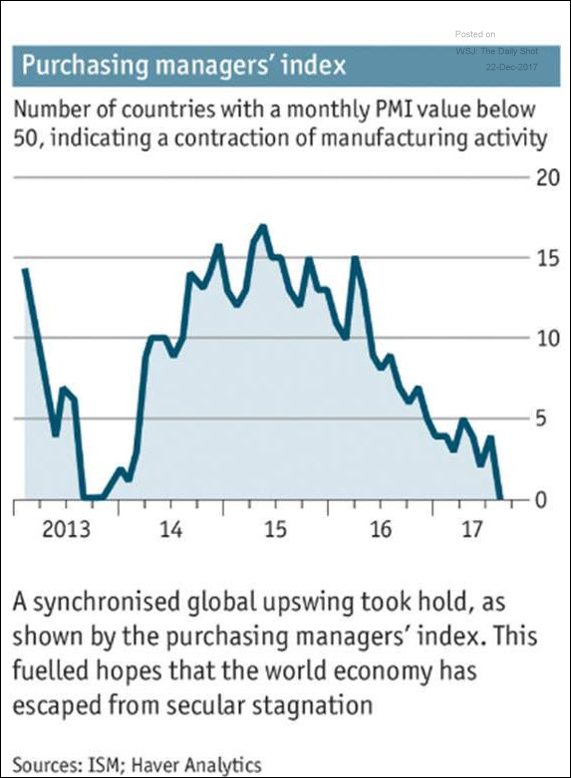 Global Developments: Not a single large country is currently experiencing a contraction in manufacturing. 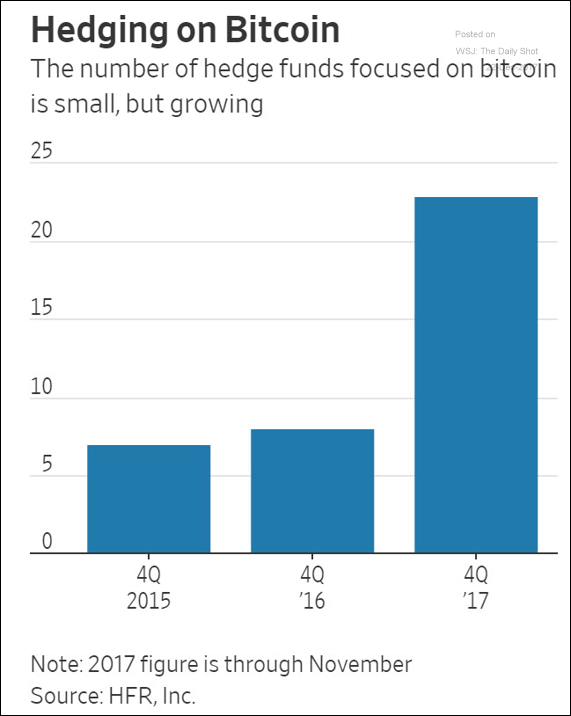 Credit: The new US tax law is starting to show up in the leveraged finance market. 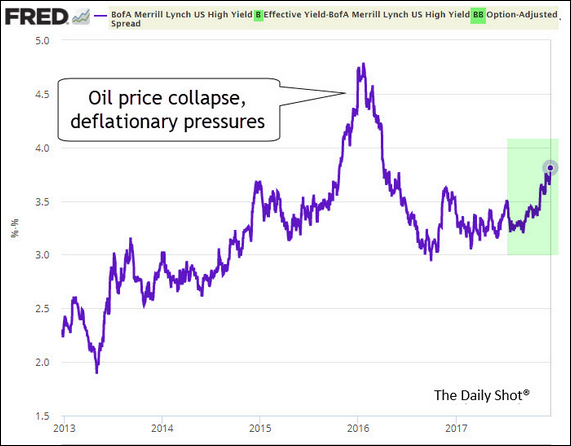 The limitation on deductibility of interest expenses will hurt leveraged companies whose interest payments are significant relative to their earnings. This chart shows the rising yield differential between bonds rated B and BB (single-B being more leveraged than BB). 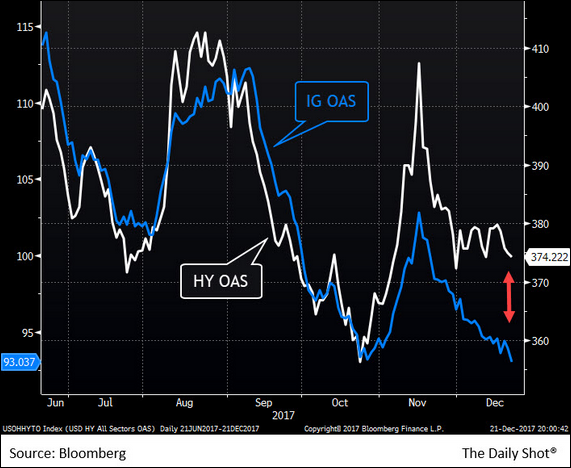 Also, high-yield (HY) bonds are underperforming investment-grade (IG) debt. 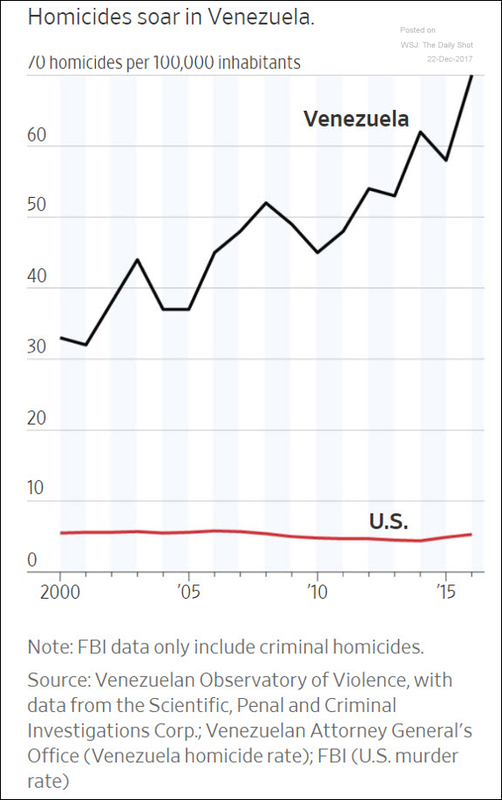 Here is the spread comparison. Emerging Markets: Venezuela’s social order is rapidly deteriorating.Brazil’s sovereign credit default swap spread continues to tighten. 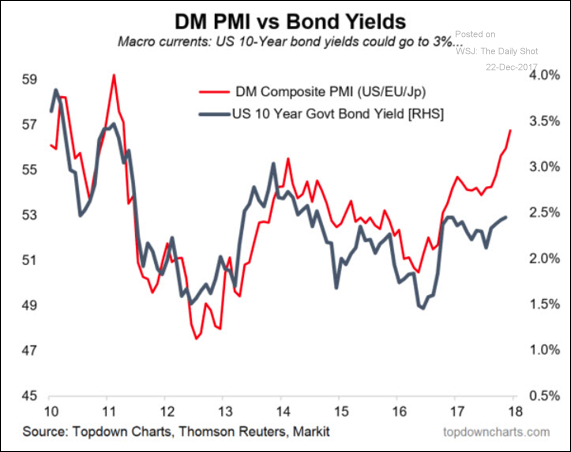 Rates: Based on the global economic activity indicator (composite PMI), bond yields should be much higher (“DM” = developed markets). 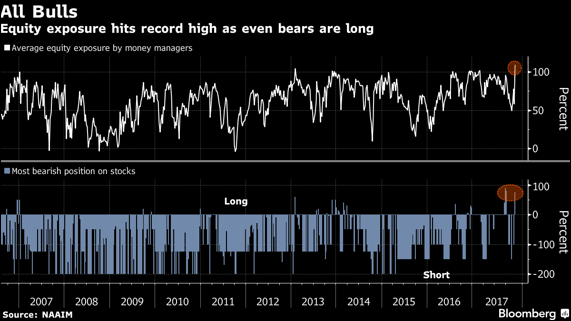 Equity Markets: Money managers’ equity exposure is at a record high. 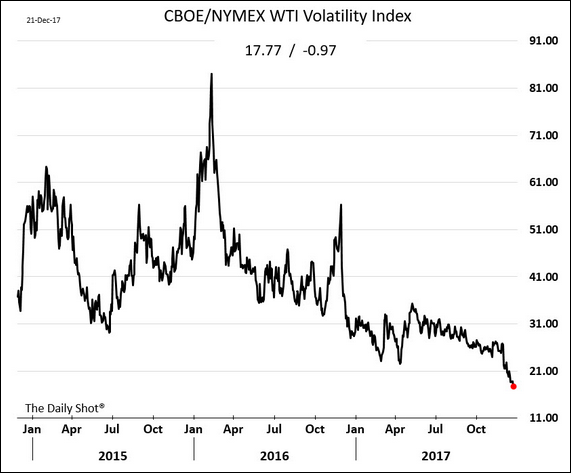 Energy Markets: Implied volatility in oil keeps tumbling. 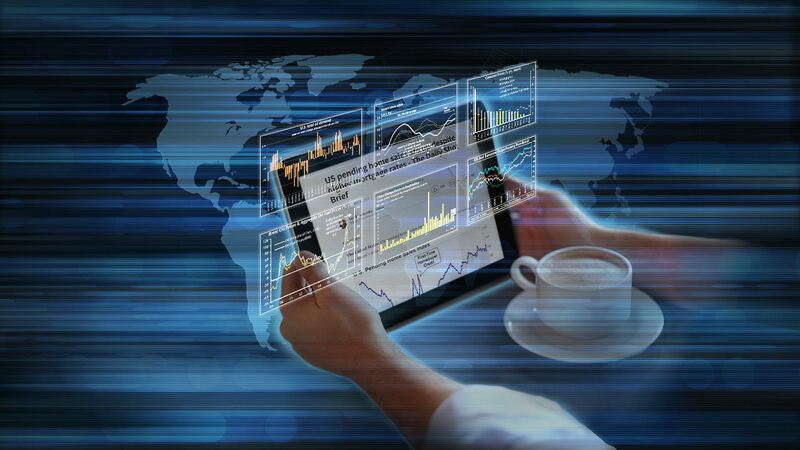 Traders expect crude to be range-bound in the near-term. 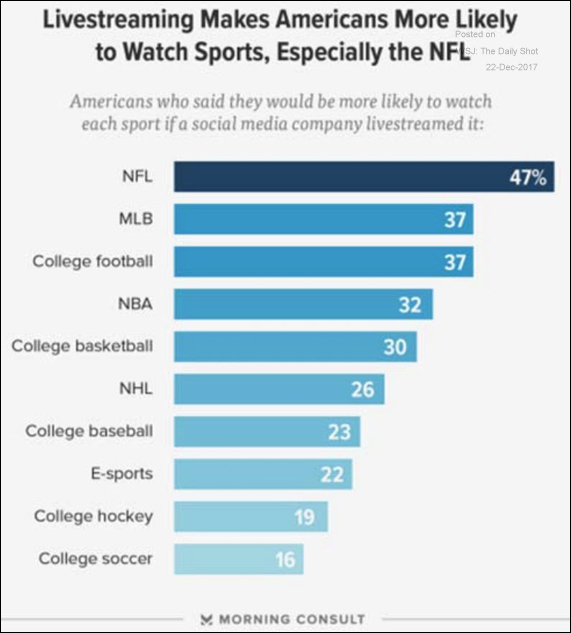 Food for Thought: Sports and live-streaming. There will be no Daily Shot Brief from December 25th to January 1st.